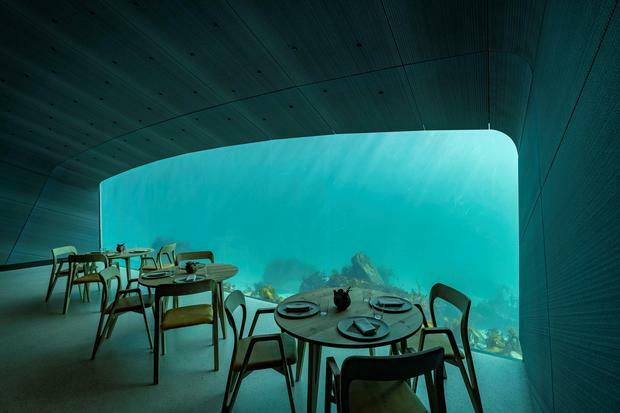 Europe's first underwater restaurant opens in Norway on Wednesday with more than 7,000 customers booked in to eat among the fish. "The fascination is just this movement from above water to underwater through the building ... The big window exposes the underwater not like an aquarium, it's the real thing," Snoehetta's founder Kjetil Traedal Thorsen told Reuters. Entering Under initially feels like going into a sauna, as wooden planks cover its upper section, but an eight-metre flight of stairs leads down to a large dining area that sits about 40 guests, walled by a gigantic transparent window to the ocean. 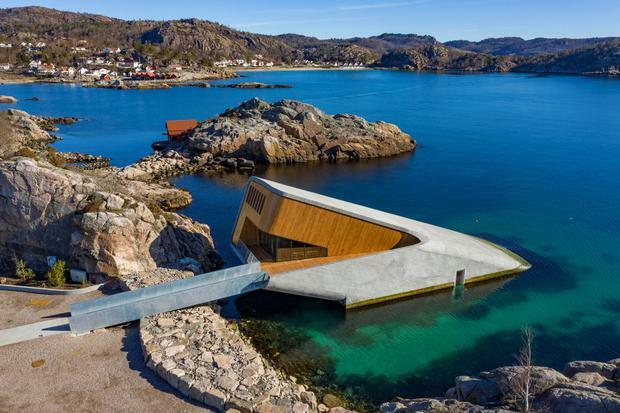 Traedal Thorsen said the construction can cope with very harsh weather and is shaped in such a way that it can withstand what he called "the wave of the century". The restaurant is laid out so there are minimal reflections in the glass wall, which fills the room with natural light during the day, filtered by the greenish colour of the water. "The goal is to get 50 percent of the guests who eat there to spend the night in the hotel as well... We expect around 12,000 people eating dinner every year," said Gaute Ubostad, one of two brothers who own the restaurant and a nearby hotel.